In a not so surprising move, Apple today unveiled its new line of iPads at its event in its Cupertino HQ. 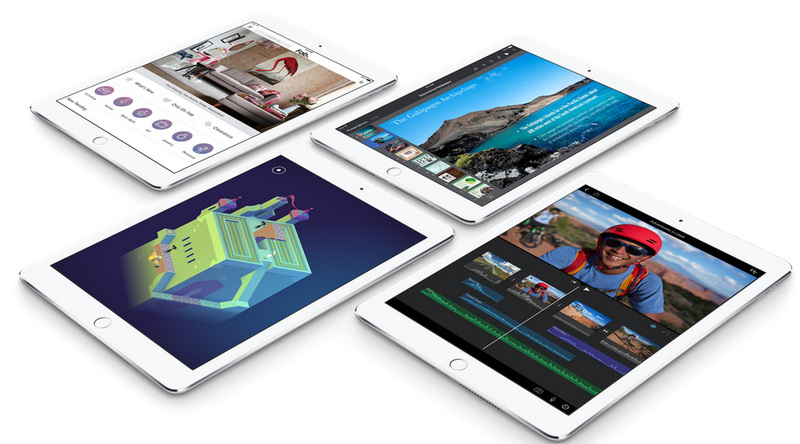 The new iPads feature some upgrades from its predecessors and finally come with Touch ID. The announcement was long expected and generally left the audience slightly bored as the men on stage talked about bringing things like Apple Pay and Continuity to people, aspects gone over in detail at previous Apple events. 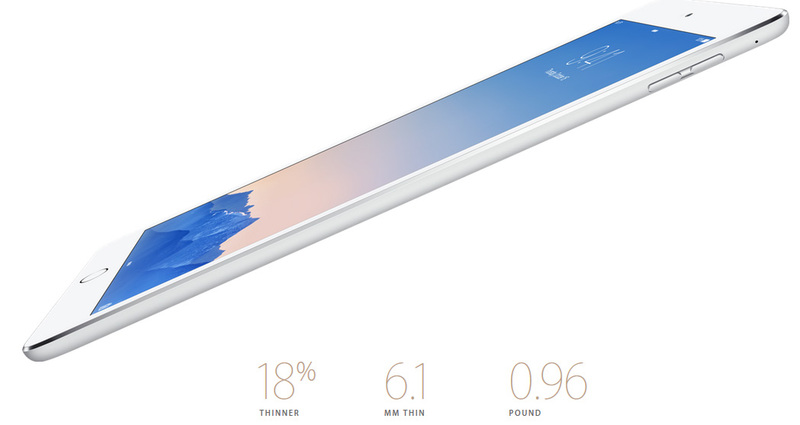 Starting off with the bigger of the newly announced tablets, the iPad Air 2 is a crazy thin device coming in at just 6.1 mm thick and is the thinnest iPad yet. Aside from that, the iPad 2 has a new A8X processor inside that is 40 percent faster than the A7 and renders graphics 2.5 times faster. This again is not much of a big deal as Apple’s devices are not really power hungry and work really well with the pre-existing chipset. Some people will even argue that the upgrade is rather redundant as these devices usually tend to get slower and slower with each new version of iOS therefore offering little future proofing. What is a big deal is the fact that the iPad Air 2 comes with a Touch ID sensor, something that was astonishingly left out in the first generation iPad Air. As of now, we know that you can use Touch ID to access the device and make payments online but NOT in the real world thus indicating the absence of an NFC chip which makes some sense as it seems impractical to make payments using such a big device. A new and improved 8 megapixel iSight camera can also be found with the ability to finally record 1080p video and slow motion shots.The iPad Air 2 is available at $499 with 16GB storage, $599 with 64GB and $699 for 128GB for the Wi-Fi only variants. The LTE enabled models cost $130 more for each storage option. Pre-orders begin tomorrow with shipping commencing the week after. The new iPad will for the first time be available in a gold paintjob. Also a first for iPads, the mute switch available on every prior iPad has been removed. Apple unveiled the third generation of the iPad mini but sadly, it offers minor upgrades compared to the Retina display bump we saw for the previous model. The tablet runs on the older A7 chip instead of the new A8X chip for some odd reason and aside from the inclusion of Touch ID, it is nearly identical to last year’s iPad Mini with Retina display. 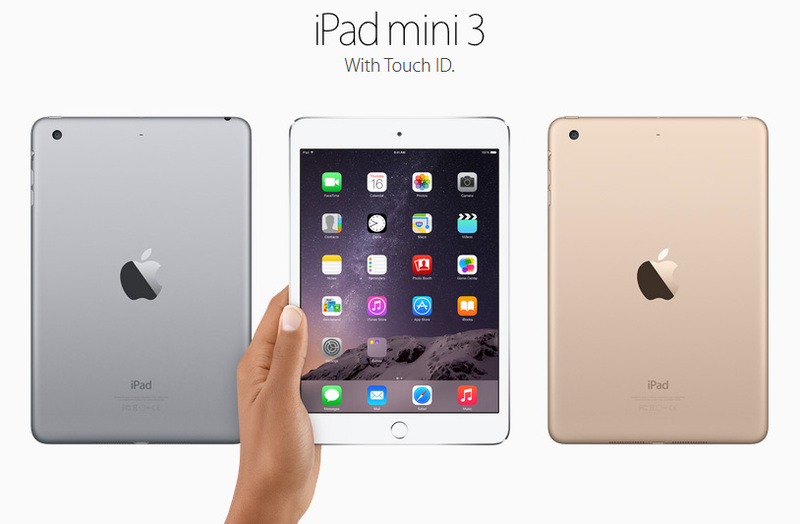 Unlike the iPad Air 2, the Mini 3 features a disappointing 5 megapixel iSight camera. The folks on stage appeared to rush the announcement of the smaller tablet and gave it little time under the spotlight. This move clearly indicates where the Mini stands in Apple’s tablet lineup as the lower end device. The Wi-Fi only models cost $399, $499 and $599 for the 16GB, 64GB and 128GB models respectively. Add $130 to each for the LTE enabled variant’s pricing. The iPad Mini 3 will also come in the gold paintjob. realize this. You should continue your writing. I am sure, you have a huge readers’ base already!